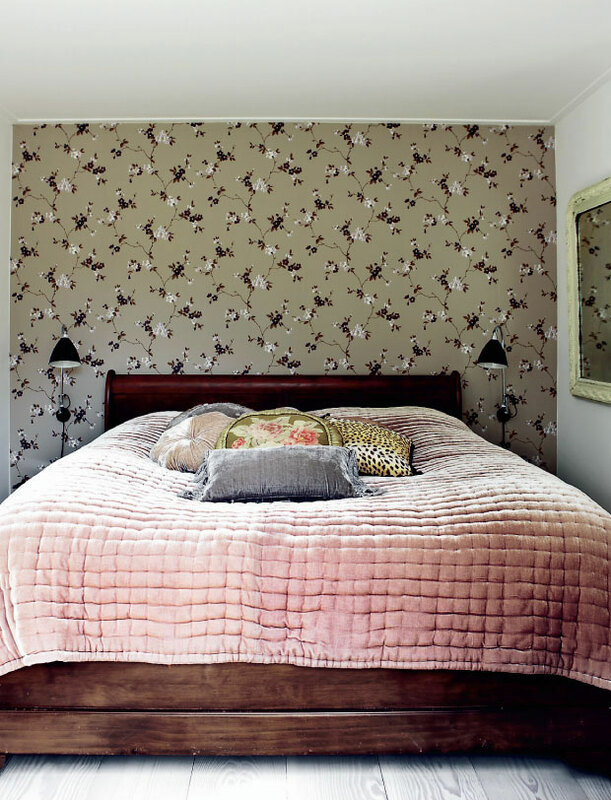 This is a charming little cottage in Humlebæk, on the coast of Denmark – And it is pink! 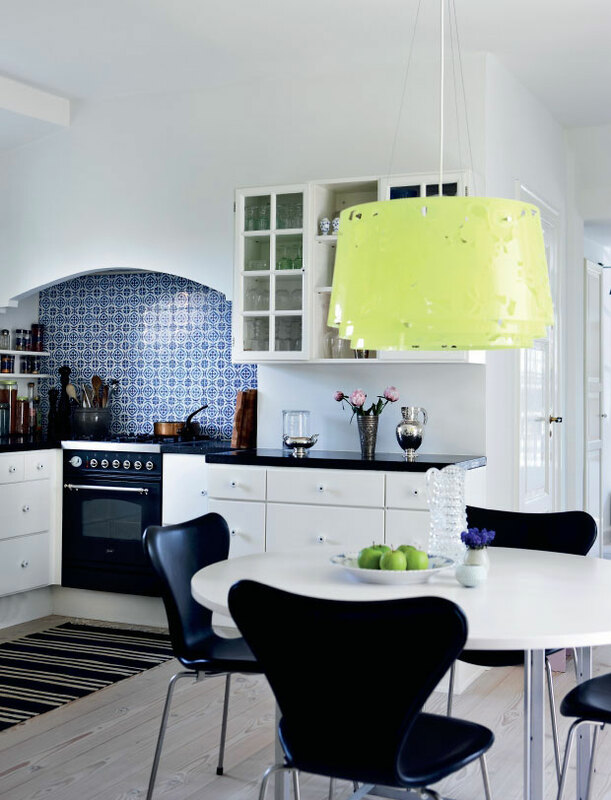 While the color caught my attention for its originality (it’s not very common for a Danish summerhouse), it is mostly the interior that made me want to share these pics with you. It is classic and elegant, with lovely touches of color here and there, adding some cheer to the décor. 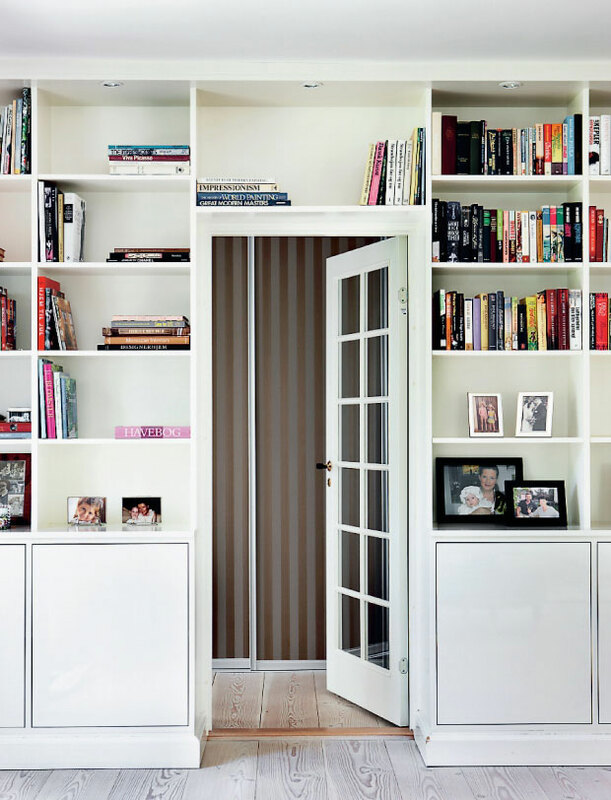 The many interesting details throughout the house make it personal and very charming. 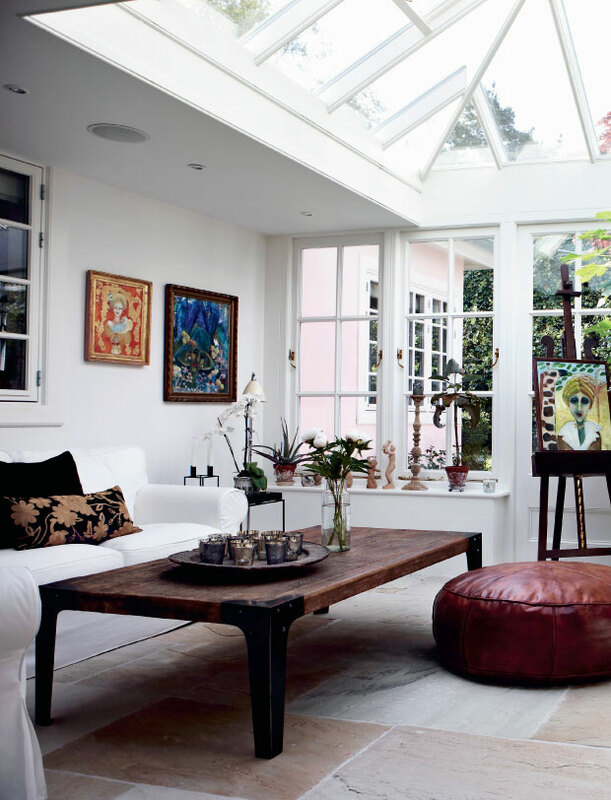 Such eclectic style is not easy to achieve – it can easily look messy, incohesive or over the top – but the owners succeeded in making it lovely. Chapeau! Love the plant! Can you tell me what type of plant it is? 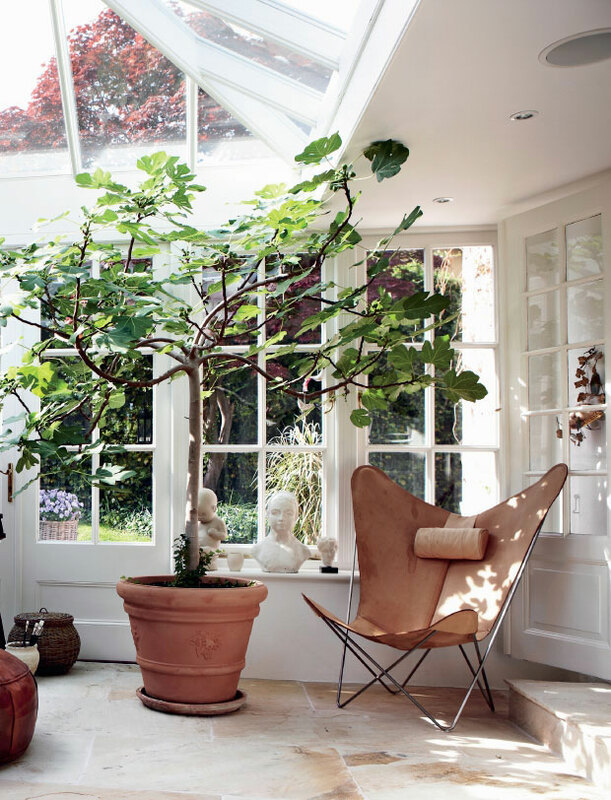 It is a fig tree – Beautiful, right! ?